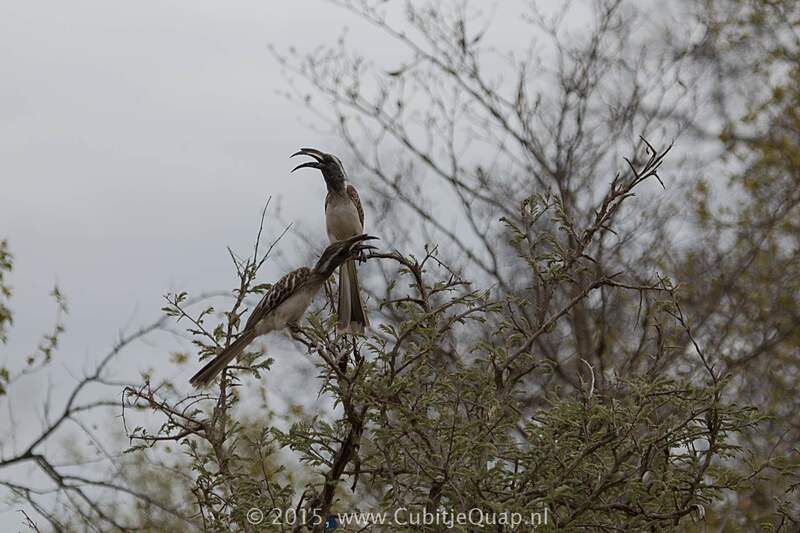 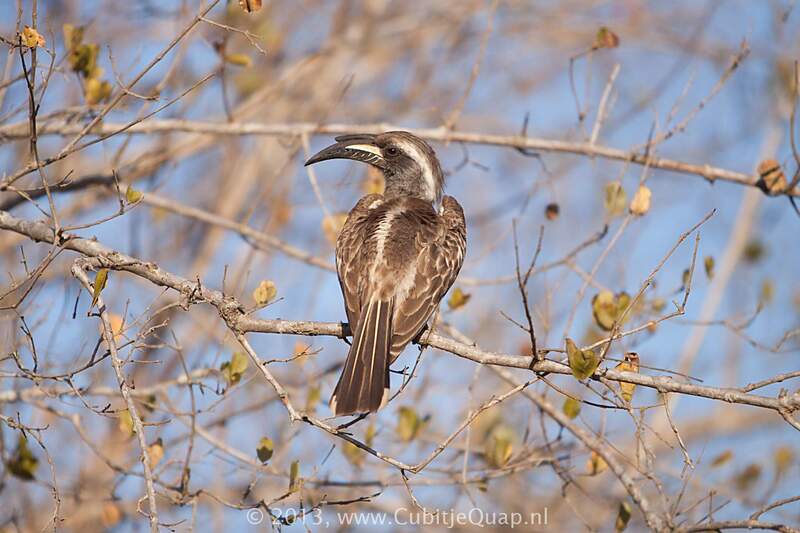 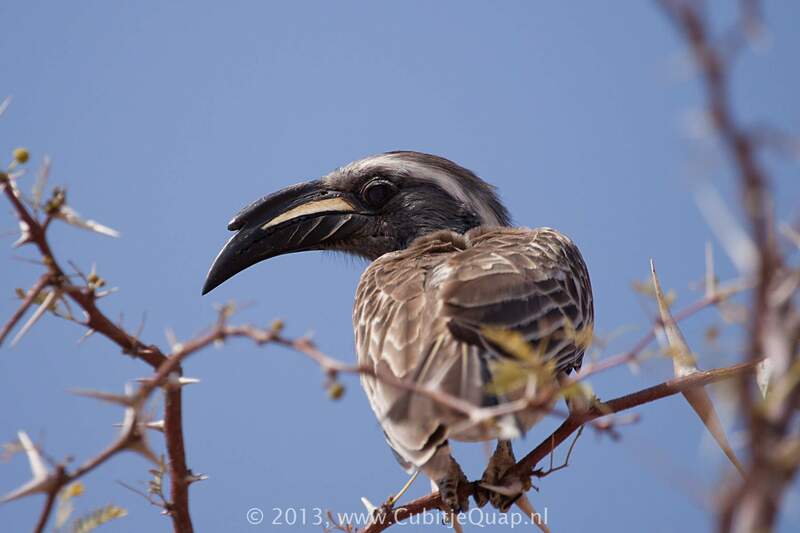 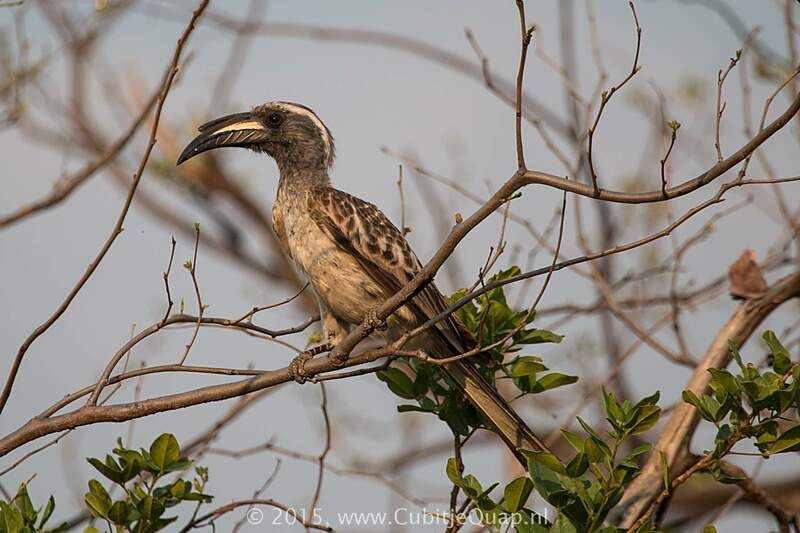 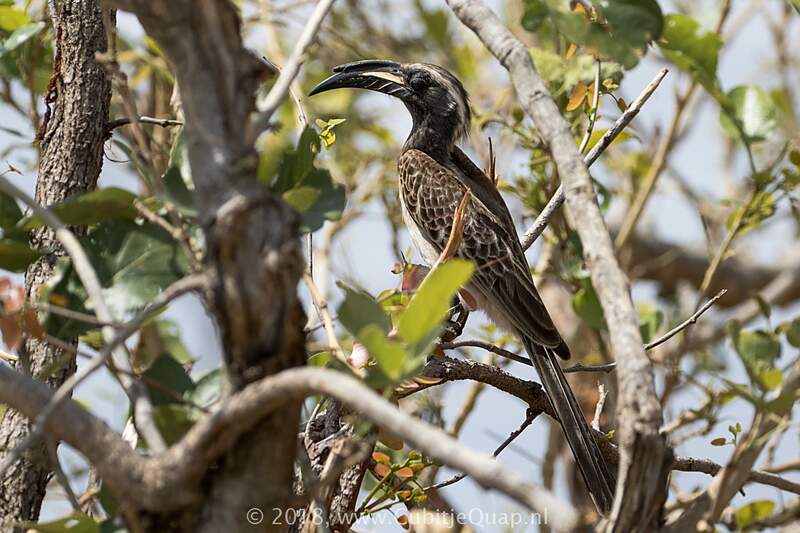 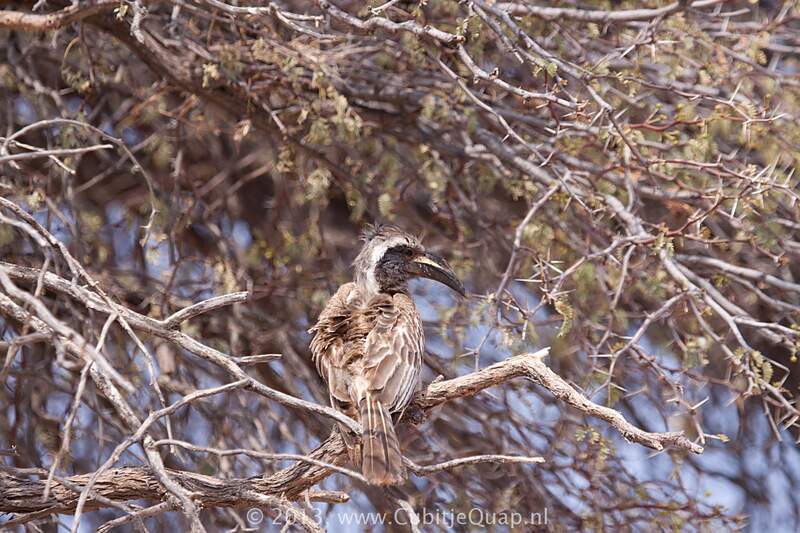 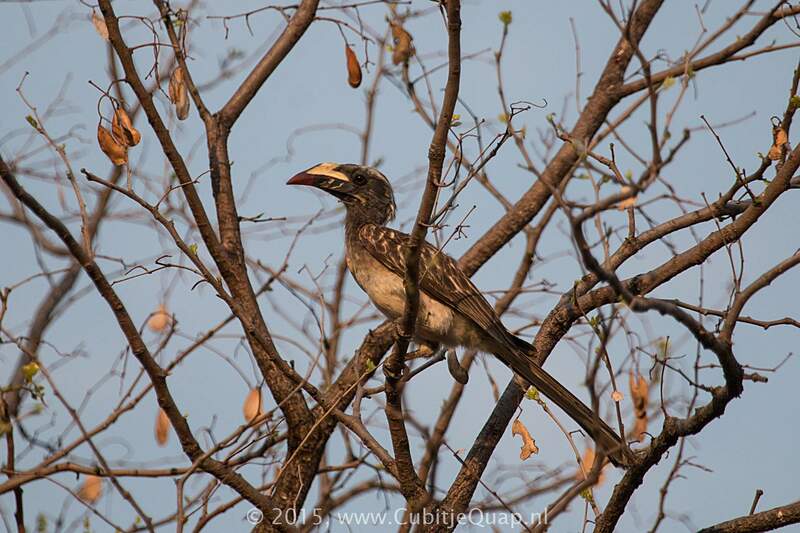 Male is the only small hornbill in the region to have a dark bill with a creamy stripe at the base and a casque. 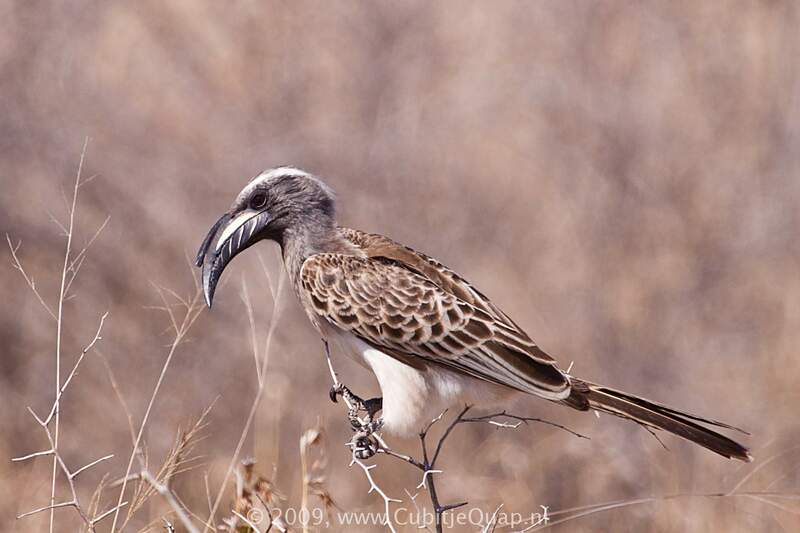 The top of female's bill is pale yellow and the tip maroon. 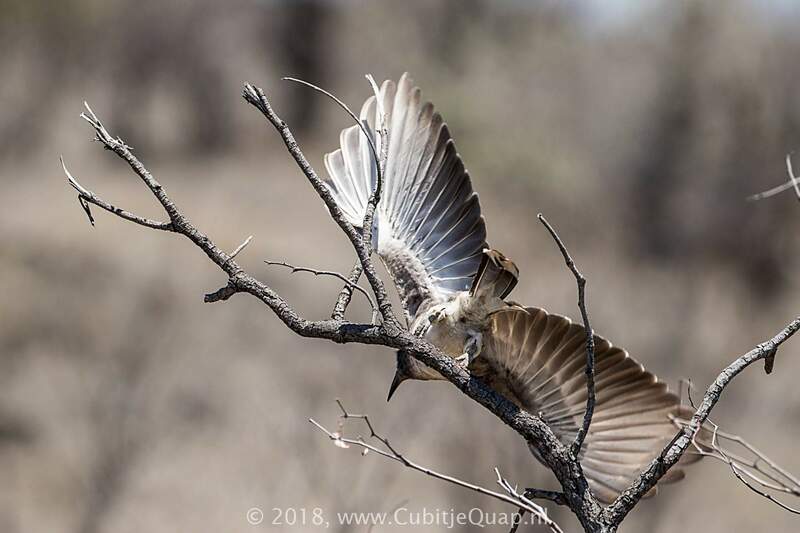 A soft, plaintive whistling, 'phee pheeoo phee pheeoo'; in calling display the bill is held vertically and the wings are flicked open on each note.